Y500 admission to Namja town, in addtion to the price of your food. 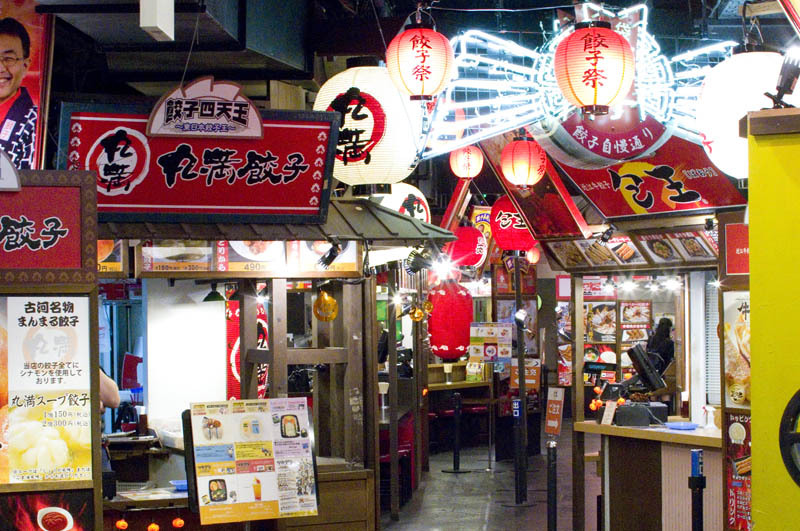 Food-focused "theme parks" in Japan range from full-on amusement park style (Shin-Yokohama Ramen Museum) to glorified shopping-mall food courts. The long-running Gyoza Stadium is at the themier end of the spectrum, with entertaining retro-style decor and ambience, and most importantly, lots of tasty dumplings. 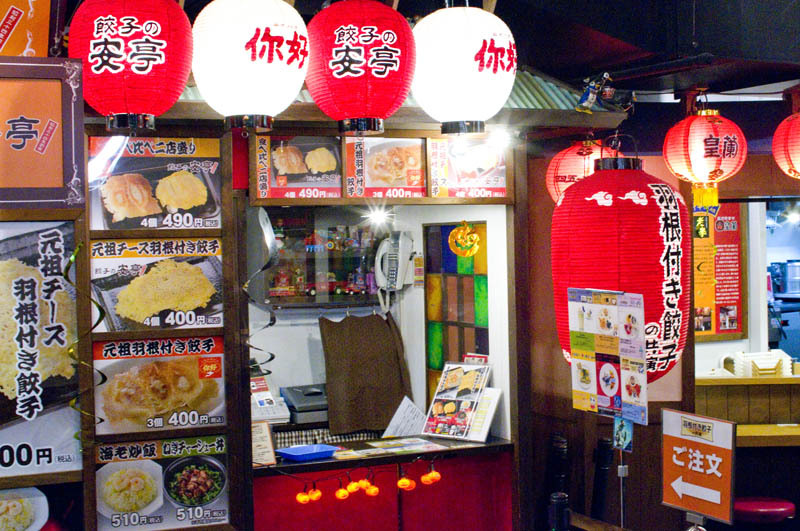 Around a dozen famous gyoza shops from around the country are gathered here, and portions are small and reasonably priced, so you can try a few different types. 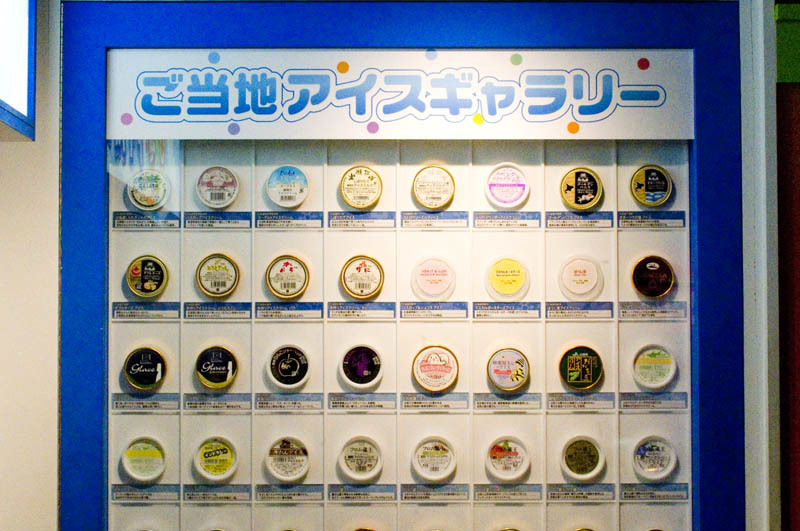 Adjacent to the gyoza zone is "Ice Parlor," offering fifty types of ice cream, in flavors like basil, musk melon, avocado, beef tongue, crab and Indian curry. Order a set of six mini-scoops for Y360 or a bit more depending on the flavor. 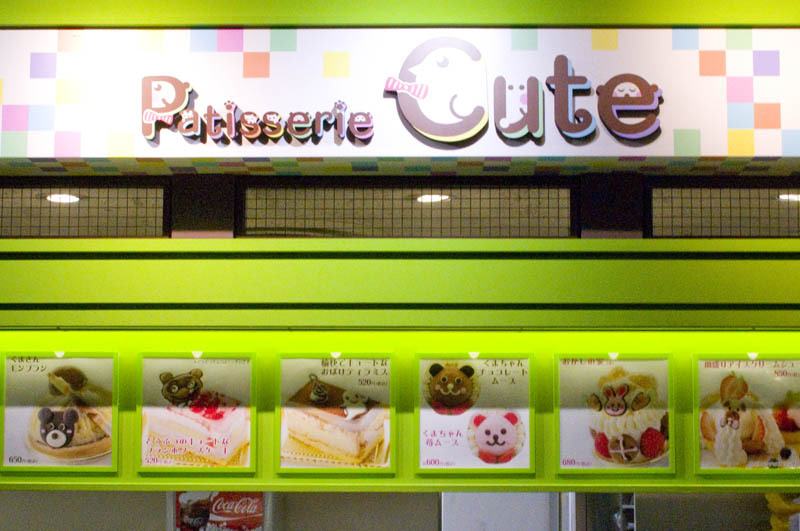 There's also a patisserie that specializes in cute, animal-shaped pastries. 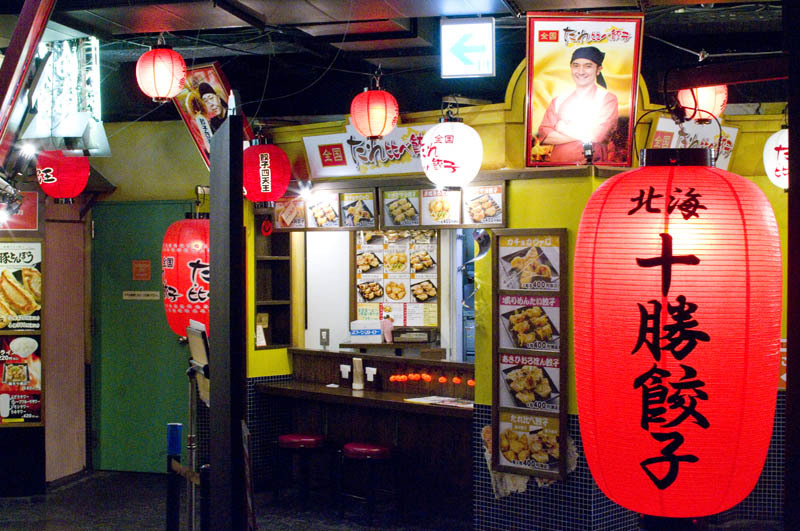 Gyoza Stadium and Dessert Alley are located inside Namja Town, a lively game center in Ikebukuro's Sunshine City complex. 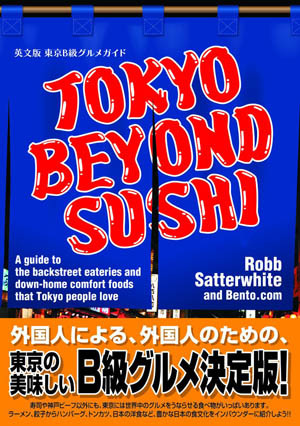 There's Y500 separate admission to get into Namja Town, where you can wander around after you eat. 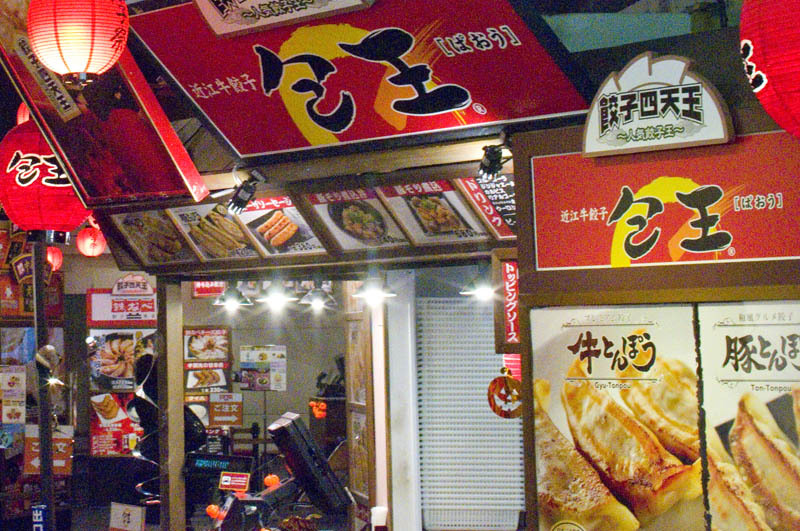 Gyoza Stadium is located inside the Sunshine City Alpa shopping complex, along with Pokemon Center Mega Tokyo.